Sir Elton John "feels great" and can't wait to return to the stage on Monday, when he’ll perform in London and receive the first-ever BRIT Icon Award. 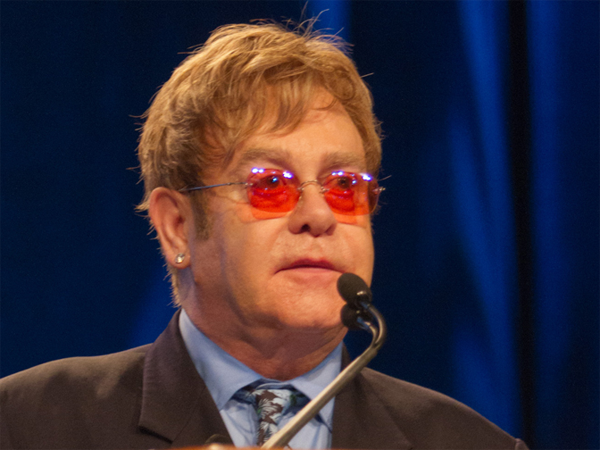 Sir Elton John "feels great" and can't wait to return to the stage on Monday (2 September). The Rocket Man singer was forced to pull out of a string of summer concert dates after being stricken with appendicitis, but since undergoing an operation has been recovering well and warming up for his comeback. He told friends, "I feel great. I can't wait to get back on stage." The 66-year-old star will return in style as he’ll be awarded the first-ever BRIT Icon Award at the London Palladium, where he’ll also give a concert. A source added to the Daily Mirror newspaper, "He had a tough few weeks and was in a real bad way, so there were fears that he wouldn't be back at the piano for months. "The pain was horrible but the break to recover has done him the world of good. "Elton was born to be on the stage and once he had the operation he said he couldn't wait to start playing again." The Made in England singer had his appendix removed at Monaco's Princess Grace hospital at the beginning of this month, after which he’s been recovering at his home in Nice, France, with husband David Furnish and their sons, Zachary (2) and seven-month-old Elijah. Concerts cancelled by the star included huge shows in Germany and England, which could trigger an insurance payout of up to £10 million (R160 million) to cover ticket refunds.